I’ve been lucky enough to be invited to speak at some upcoming VMUGs in The Netherlands, North-East England and Scotland. In my session I’ll be presenting on vRealize Automation, Puppet and Site Recovery Manager. Together with the presentation I will also be doing a hands-on demo (if the demo Gods are with me). On Thursday 16 March I’ll be at The Netherlands VMUG in ‘s-Hertogenbosch (Den Bosch, for those wondering how words can start with punctuation). The event is the largest VMware UserCon in the World, and is always jammed-packed with great content. Frank Denneman and Niels Hagoort with be following up on their popular VMworld session on Host Resource Deep Dive. In the session they will discuss compute and networking in depth, and explore the NUMA architecture. Johan van Amersfoort will be presenting on VMware One – How to secure a workplace without concessions. Johan will demonstrate on how security can work for the user to provide a perfect virtualised working environment. For those looking to submit a design for VCDX there will also be a group discussion with Rutger Kosters, Marco van Baggum and Johan van Amersfoort. This could be invaluable information for any looking to pursue the pinnacle of virtualisation certification. There will be over forty sessions to watch at the Dutch VMUG and some fantastic speakers. The VMUG train next pulls into Newcastle on Thursday 23 March. Lee Dilworth from VMware kicks things off with his session on Software Defined Storage. Also from VMware, Atif Qadeer will be presenting on VMware Cloud on AWS. This was a hot topic at VMware 2017 in Barcelona and is sure to attract a lot of interest. Other speakers include Softcat, Cohesity and Morpheus. Finally I shall be attending the Scottish VMUG on Thursday 20 April in Glasgow. I always enjoy going up to Scotland, and not just for the vBeers! Joe Baguely (VMware CTO) will open with his keynote. This will followed by Alex Galbraith and Chris Porter sharing their experience of AWS for vSphere Admins. 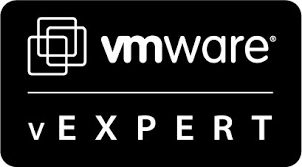 Fellow vExperts Brian Gerrard and James Kilby will be presenting community sessions on VMware design methodologies and real-World experience working with Nutanix. More and more people are using VMware vRealize Automation to deploy workloads to both on-premise and cloud platforms. However traditional challenges still apply. How to we guarantee compliance and reduce configuration drift? How can we ensure our workloads are protected in the event for a site failure? Can we test our recovery plans work as expected on a regular basis? In my session I will address these challenges, and how enterprises can leverage best of breed technologies to ensure their business overcome them.